Lapping | Tumbling | Engraving | Flame & Flame Polishing - Brogan & Patrick Mfg. Corp.
Brogan & Patrick Mfg.Corp. 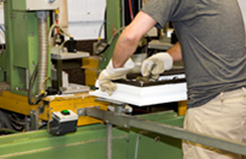 provides customers with the option of complete assembly. We assemble the following per your instructions. Whether it be simple set screws or as complicated as a cable harness we will assemble your product to your specifications. Brogan & Patrick Mfg.Corp. is unique in its offering of JIT delivery. We allow our customers to purchase larger quantities for a discounted price, but with the option of taking the order in increments. Large or small orders can be delivered when you want them, so you are in charge of your inventory. Brogan & Patrick Mfg.Corp. also offers custom packaging for all local companies. Due to our affiliates within the packaging industry we get discount pricing on all corrugated boxes, bubble wrap, plastic bags and plastic containers. 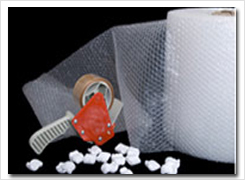 We offer custom boxing and packaging to all of our customers. We can provide custom sizes, custom PETG packaging, company insignia on boxes and much more. Our pricing is very competitive and we work with our customer to save them money.